Attention all Orange County locals (and visitors too!) 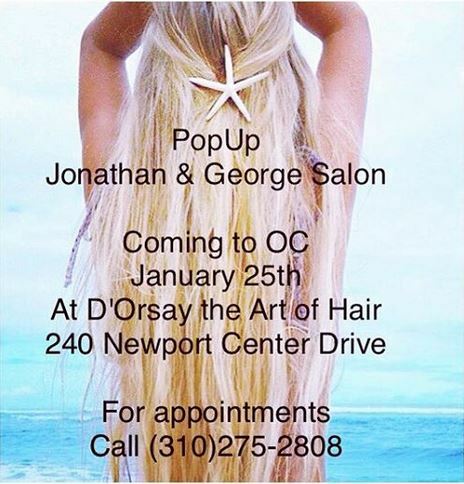 Just a reminder that our first ever pop up salon will be Monday, January 25th, held at D’Orsay The Art of Hair Salon in Newport Beach. You can schedule your appointment by calling JONATHAN & GEORGE at 310.275.2808.